Ever wish you had that perfect song to match your excitement for an upcoming trip to Zimbabwe? No? Well, New Navy has you covered just in case. 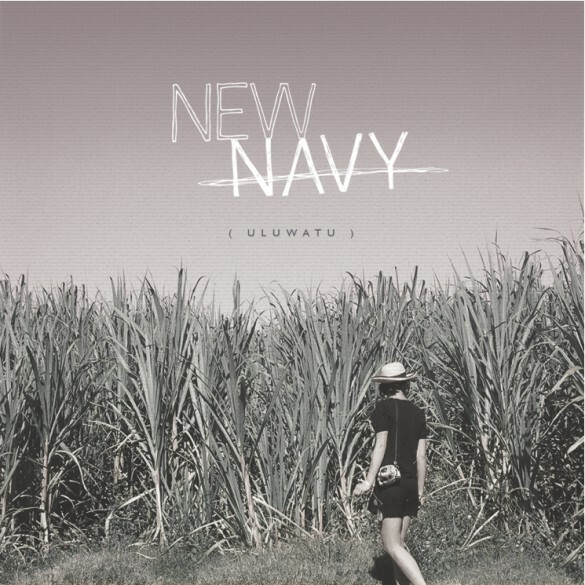 The Sydney, Australia indie rock/pop group released the lively, plucky guitar-infused Zimbabwe along with three other tracks on its breakthrough EP, Uluwatu (the southmost point of Bali, where the EP was conceived). New Navy is heavy on percussions and alluring guitar riffs but finds a balance with Ben McInerny’s smooth, distinct vocals. There isn’t a heavy or slow moment in Uluwatu and there doesn’t need to be. The quintet is solely intent on making upbeat, infectious tracks meant to transport you to a destinations filled with sun, surf and romance. Zimbabwe starts out with a playful whistle and leads right into a mix of exotic drums and sticky guitars, giving the song a carefree vibe that makes you want to plunge into the unknown. McInerny’s vocals start off incredibly soft on What Was Golden, putting you at ease before blasting off with the chorus. The guitars are sharper on this track, starting and stopping abruptly, giving What Was Golden a bit of an edge but not preventing the song from moving effortlessly to its conclusion.